The company Fliesenhandel Schittek GmbH specialises in the supply of suitable spare tiles in case of damages, or for repairs. For this purpose we buy industrial tiles from all over Germany and store them as replacements for future requests in case of damages or repairs. 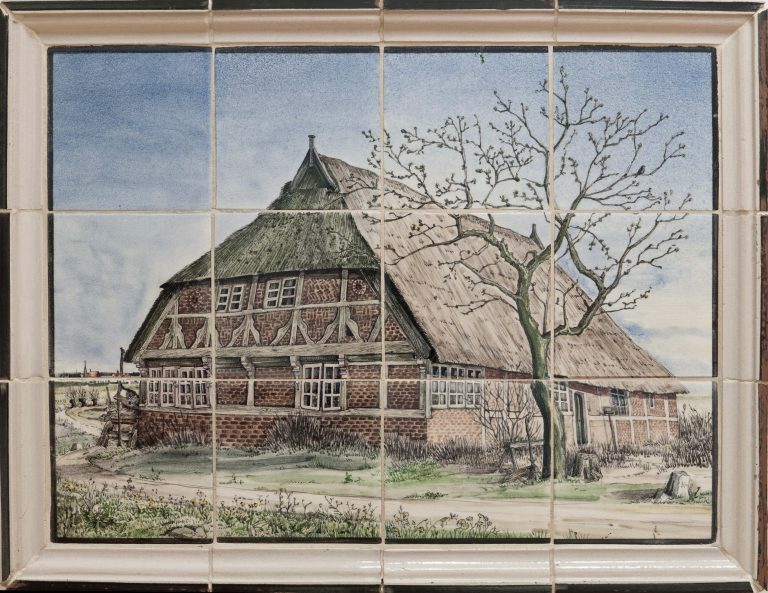 Almost all German homes and other buildings are equipped with tiles, which after a few years become unavailable. We are permanently storing more than 50.000 different types of old tiles out of which we can find the suitable model for your repairs. At present we are storing old tiles from the year 1900 up to today’s modern tiles on more than 7500 pallets. Our stock is increasing daily not only by buying old tiles, but also by storing the actual ranges as well as large modern tiles in order to provide your future replacements. Furthermore, certain tiles are manufactured in our own workshop kilns. 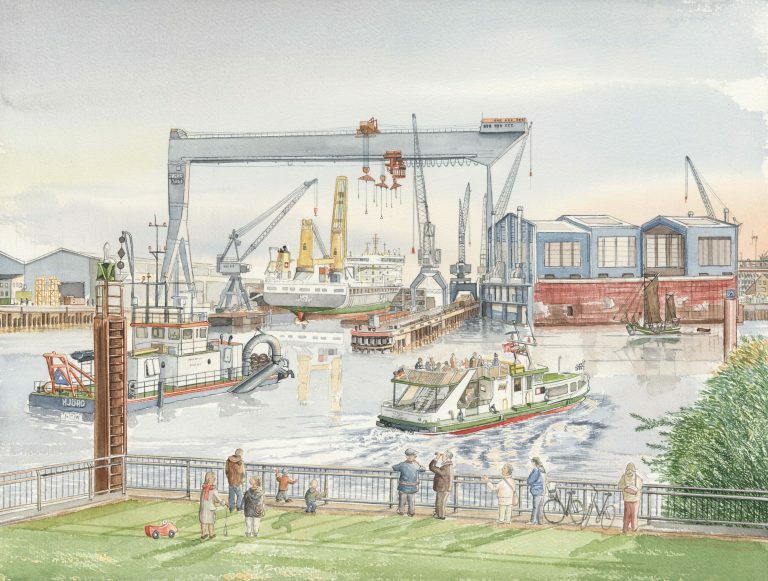 In our showrooms in Hamburg-Sinstorf there is an exhibition of our own products, from hand made and decorated „historical tiles“ to large ceramic murals. 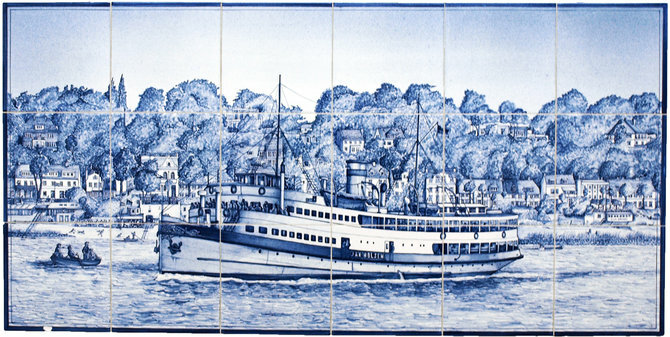 In the beginning was the art work, and in 1978, Konrad Schittek started his Art Tile Manufacture in Hamburg-Altona. He produced traditionally handmade and decorated art tiles as well as reproductions for restoring or supplementing old historical tiles. 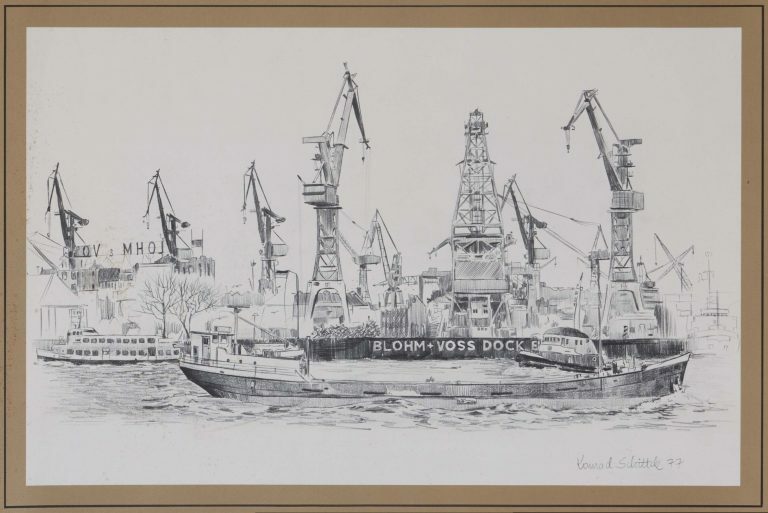 Many magazines reported on this interesting work as well as on his exhibitions in northern Germany. 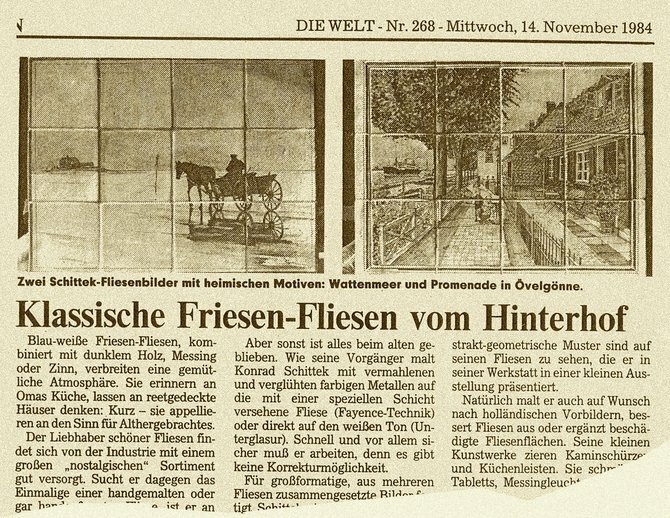 The well-known building and living magazine „Das Haus“ wrongly reported – and that was the key factor – that here any type of tile could be reproduced on request. Since then enquiries started coming in from craftsmen and insurance companies for old tiles that were off the market and needed for repairs or restoration purposes. Soon it became clear that not all types of tiles could be reproduced, but at the same time it showed how much demand there is in this field. Retaining any tiles in reserve for damages had hardly been considered up till then, in the least by tile factories and specialist shops. Only a few tilers had been reserving old material, either for guarantee purposes or for nostalgic reasons. Also end users are seldom keeping any spare tiles. In Germany you can buy spare parts for nearly any product, but for tiles it is almost impossible – a gap in the market was discovered! In those days – besides manufacturing art tiles – we started the permanent search for left over stocks of the frequently requested models. We were successful with tilers and old-established tile shops. An intensive activity was started dealing with the subject, gathering information on the various manufacturers, qualities, sizes, glazings, etc. In 1988, Fliesenhandel Schittek GmbH was founded dealing in repair tiles instead of the art work. The increasing stock as well as the steadily growing customer enquiries made it necessary to move to new premises in Hamburg-Francop in 1996, in order to provide space for these replacement tiles. 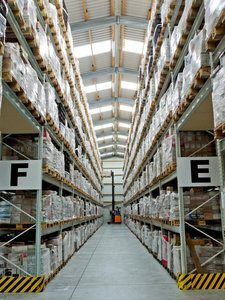 Another 10 years later, for space reasons, the business and the store were moved to the actual premises in Hamburg-Sinstorf with our modern high bay warehouse. Here we buy, stock up, and ship our replacement tiles all over Germany daily. The two sons have been growing up with the business and have been working here permanently since 2004 and 2009 respectively. In 2014 the founder handed over the business to Felix and Jan Schittek, who are continuing his idea in the second generation.